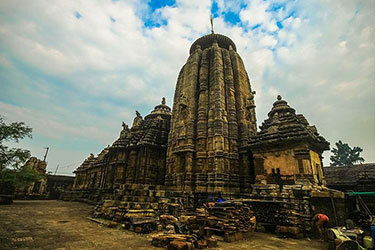 Cheap Flights to Bhubaneswar, India. 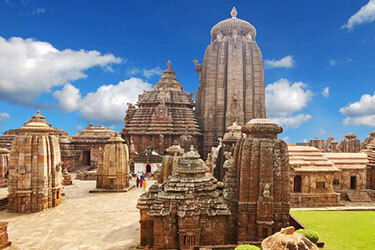 Looking for cheap flights to Bhubaneswar, India.? Look no further. Nanak Flights is a Canadian travel agency based in Brampton, Ontario that focuses on providing lowest ticket rates and excellent customer service to its customers. We have negotiated the best flight deals with all Airlines to offer great savings on flights to Bhubaneswar in India . We offer best deals on cheap flights to Bhubaneswar from all Canadian cities including Toronto, Montreal, Ottawa, Regina, Vancouver, Victoria, Calgary, Edmonton, Halifax, Winnipeg, Fort Mcmurray. Bhubaneswar is the capital of Indian state of Odisha. It is located on the eastern side of the country and is one of the largest cities in the region. Whenever someone is looking to get a real insight into the culture of Odisha, visiting Bhubaneswar is usually their first choice. Bhubaneswar is also known as the temple city since it played a vital role in the historical and religious aspect of India. Its existence can be traced all the way back to the 3rd century BCE. Besides, it is an ideal tourist location for those who love to see natural landscapes and attractions. The thing that sets Bhubaneswar apart from any other travel location is the fact that it is a confluence of different religions. The three primary religious beliefs followed by the citizens of Bhubaneswar are Hinduism, Buddhism, and Jainism. Furthermore, this amalgamation of religious beliefs can also be seen in the local attractions. 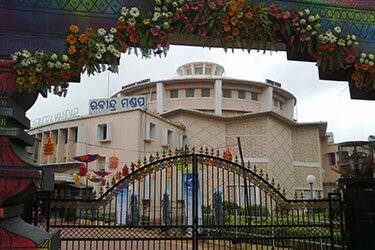 If you too are planning a trip to Bhubaneswar anytime soon, then there are a lot of things that you should know. With the help of this travel guide, you will be able to narrow down on all the great places that you must visit while you are in the city. Besides, it will even give you some additional information regarding the transportation and accommodation facilities available. Bhubaneswar, being the capital of Orissa is well connected with the rest of the country through flights. There a regular flights that you can book to reach the city from almost every major metropolitan including Delhi, Mumbai, Pune, Chennai, etc. If you are trying to reach Bhubaneswar from a nearby town, then you can also do it with the help of the road network. There are daily buses available for Bhubaneswar which can not only be a cost-effective way of traveling. But, is also a great way to see the surrounding natural landscape. In case you have to cover a significant amount of distance before reaching Bhubaneswar, then trains are an excellent travel alternative. To book your train tickets, all you need to do is visit the website of IRCTC. However, we recommend you register for these tickets in advance. For those of you who are worried about commuting within Bhubaneswar, there are a lot of options available. You can either hire a cab for yourself through a mobile application or choose a public transport option like the bus or metro. 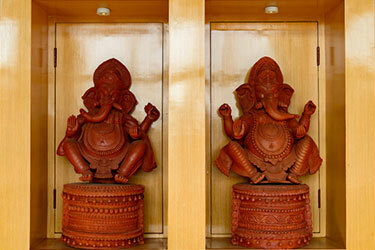 The ideal time to visit the city of Bhubaneswar is between October to March. During the summer the scorching heat can ruin your chances of traveling outside which is why it should be avoided altogether. On the other hand, winters in Bhubaneswar are comparatively mild than other parts of the country. This is because the temperature never drops down below 8 degrees. However, it is considered to be the peak traveling season, which means you might end up spending more on your vacation. 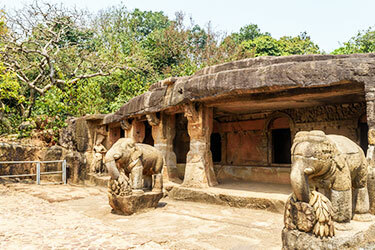 One of the most popular attractions that should be on your must-visit list is the Udayagiri and Khandagiri Caves. These caves are made out of a combination of natural as well as artificial architecture. Besides, they even hold historical and religious value when it comes to Bhubaneswar. 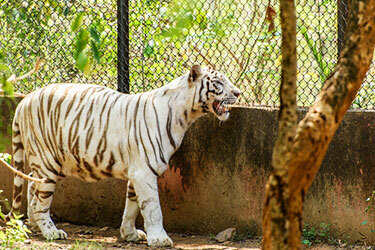 If you are traveling along with your children to Bhubaneswar, then make it a point to visit Nandankanan Zoological Park. This park is spread over 400 hectares, and it includes more than 2500 different animals. Furthermore, it is also the first park to become a part of the Word Association of Zoos and Aquariums. 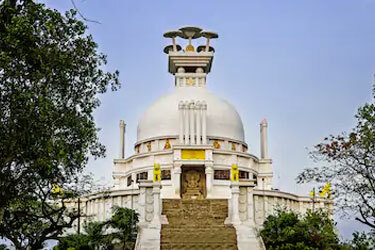 For those of you who want to admire the natural landscape of Bhubaneswar visiting the Dhauli Hills is highly recommended. This attraction is located south of the city near the Daya river. The highlight of this particular attraction is a mass of rock that has Edicts of Ashoka engraved all around. If you are visiting Bhubaneswar for the first time, and are looking to know more about the history of the region, then consider visiting the Odisha State Museum. The museum was established in the year 1932 and is known for displaying artefacts related to different religious groups. Odisha is mainly a rural area which is why the history of the place is related to tribe people on a large scale. One of the best places to visit if you are looking to know about the local tribes of Odisha is the Museum of Tribal Arts and Artefacts. It showcases different types of costumes, art pieces, jewellery, household objects, as well as musical instruments played by these local groups. In case you plan to visit Bhubaneswar during the summers than one of the simplest ways to beat the heat is by taking a trip to the Ocean World Water Park. The park has four different swimming pools which are designed for different age groups. 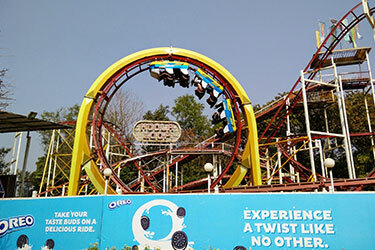 Besides, it even has numerous water slides which can be an exciting way to spend time with your kids. If you want to shop for locally made souvenirs then visiting the Ekamra Haat is the way to go. This shopping destination is located in the heart of the city and is one of the first places that travellers visit. It is known for offering authentic Orissan handicrafts, and a number of other items including stone carved objects and Sambalpuri weaves. For those of you who are looking to buy some fashion jewellery or home decor items, the Sahid Nagar Market is a great place to visit. Here you will be able to buy things like beaded necklaces, bangles, and even beautiful wooden statues. The market is also known for selling electronic gadgets. In case you want to shop for some clothes or footwear while you are in Bhubaneswar, then the unit 2 market building is a decent place to consider. The thing that makes it one of the most popular markets is that it is a bargaining zone. It means you will be able to get great deals on your shopping. Lastly, if you want to shop for branded products or furniture while you are visiting the city, then the Bapuji Nagar Market is also a good option. This market has an array of shops offering everything from electronic equipment, furniture, jewellery, watches, gift items, as well as antiques. It even has designer apparel outlets. 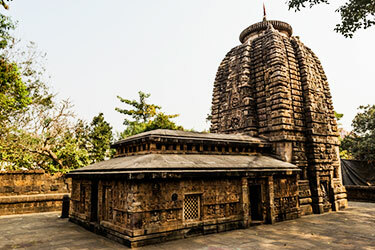 The Lingaraja Temple is one of the oldest religious buildings in Bhubaneswar. It is dedicated to the Hindu Lord Shiva and has been one of the most crucial landmarks of the city. The height of the temple is 180 meters which makes it a magnificent building to see. It represents the Kalinga architecture style which was very popular during its time. 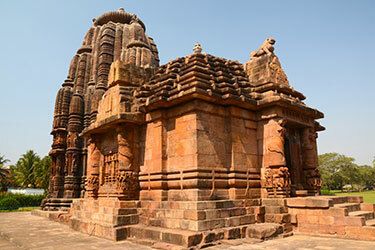 Another Ancient Temple that can be seen while you are in Bhubaneswar is the Rajarani Temple. The temple dates back to the 11th century and was formerly known as Indreswara. The temple has intricate carvings all around its walls which depict couples. It is the reason, the attraction is popular, amongst travellers and locals. 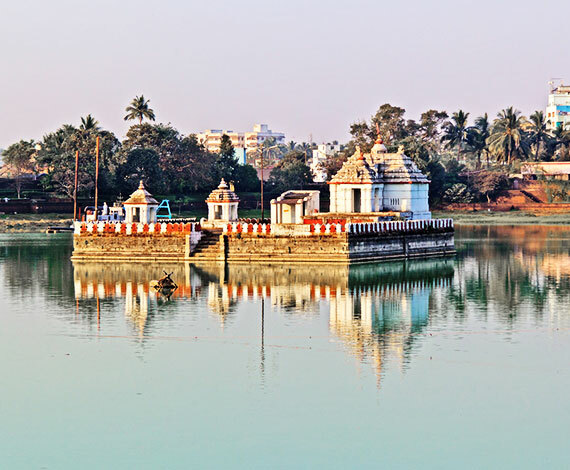 This temple is located near the Bindu Sagar pond and is one of the early examples of Orissan history. The existence of the temple can be traced back to the 7th century CE during the time of Shailodbhava period. It is dedicated to Lord Shiva and its features beautiful carvings as well. 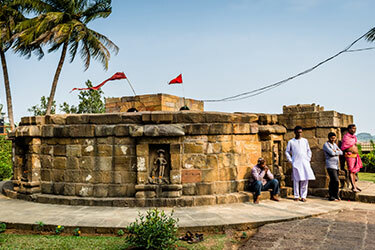 The Jogini temple is a 20 km away from Bhubaneswar but is still one of the most visited attractions. This temple has great importance in the history since it is believed to be constructed by Queen Hira Devi of Brahma dynasty. Besides, the temple is situated in a Hamlet and is supposed to reflect the 9th-century architecture. 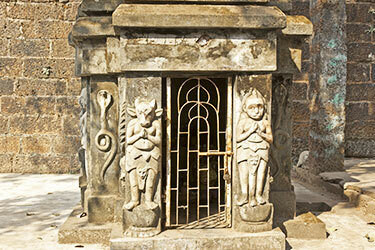 The Ananta Vasudeva temple was built in the 13th century and is dedicated to Lord Shiva. The temple is located in Gouri Nagar which is a part of the old town. There are different sculptures worshipped in the temple which includes Lord Krishna, Balarama, and Subhadra. Yameshwar or Jameshwar Temple is an exceptionally old sanctuary devoted to Shiva being worshiped by Yama. It is located at Bhubaneswar near Bharati Matha, in Jameshwar Patna. Devotees visit this temple to seek fulfillment of freedom from miseries and for worship especially by those born under the Barani star. If reading this travel guide makes you want to visit Bhubaneswar for your next vacation, then we recommend you book your flight tickets in advance. Besides, you can also find great deals and discounts on air tickets online.